The very last post on the previous page is of someone saying they just added a fire hydrant to their town. Hi, I'm a new player (just made it to level 16) and I could use some friends for the social tasks as my neighbours are mostly inactive. 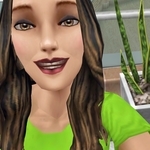 My fb mainly shows activities of other games there but I do use this fb for Sims Freeplay.